Home/Pediatric Dental Services/Why use Performance Mouthwear? Hundreds of years ago, a few people were on to something: Ancient Greek athletes who bit down on leather straps for an edge during competition; Viking and Roman warriors who clamped down on leather bits for focus on the battlefield. They knew something here worked, but the concept itself never evolved. Until now. Performance Mouthwear has been engineered to unlock your power and potential. It’s all in you, but blocked by one of the human body’s instinctive reflex systems´ teeth-clenching. With safe custom-built Performance Mouthwear, athletes in any sports – from football to golf to weightlifting to baseball to running – can capitalize on innovation that makes you stronger, faster, and better. With improved airflow and less stress from clenching, Performance Mouthwear has been proven to increase strength. Performance Mouthwear enlarges airway openings, leading to less lactic acid build-up after 30 minutes of intense exercises. Athletes my respond faster when wearing Performance Mouthwear. Clinical trials show an improvement in responding to auditory cues and potential improvement in response to visual cues. Excess coritisol causes stress, fatigue and distraction. Performance Mouthwear decreases coritisol production, which means you feel and play better. When the jaw suffers an impact, energy can be transmitted to the head which can cause concussion. When you train and compete, your natural reaction is to clench your jaw. It’s part of the the “fight or flight” wiring of your brain. Your clenched jaw and teeth compress your temporomandibular joint (TMJ), triggering the hormones (like coritisol) that produce stress, fatigue, and distraction. Performance Mouthwear helps the human body help itself by unlocking the power of the jaw. 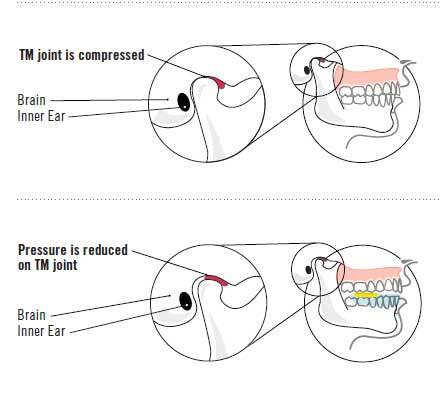 Performance Mouthwear technology prevents your teeth from clenching and pivots your jaw forward to relieve pressure on the TMJ. Gone are the excess negative hormones and the energy-draining effects so the body can now unleash its potential. How long does it take to get a Custom piece of Performance Mouthwear? Once fitted, the orders, typically take about 10 business days for delivery. Mouthguards provide protection. 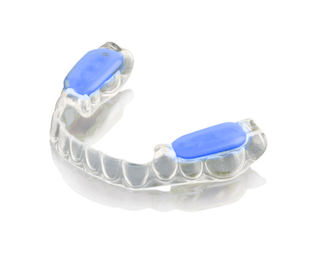 Performance Mouthwear, which include mouthpieces and mouthguard does more. It enhances performance and increases recovery time. Who Should use Performance Mouthwear? Hundreds of Professional athletes are currently relying on the superior performance and protection benefits of Performance Mouthwear. but it isn’t just for pros -performance Mouthwear is for all athletes who want to excel in their sport or activity. 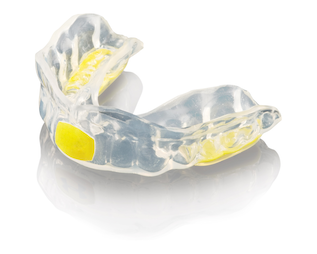 The Performance Mouthguard offers superior protection in addition to its performance benefits and should be used in contact sports such as football, hockey, and lacrosse. The Performance Mouthpiece are appropriate for non-contact and limited-contact sports such as running, soccer, baseball, golf, tennis, and training. To set up an appointment for a customer fitting or for more information please call us at our Gladstone, Missouri dental office at (816) 548-3400 or contact our Liberty, Missouri dental office at (816) 792 1118 for more information.